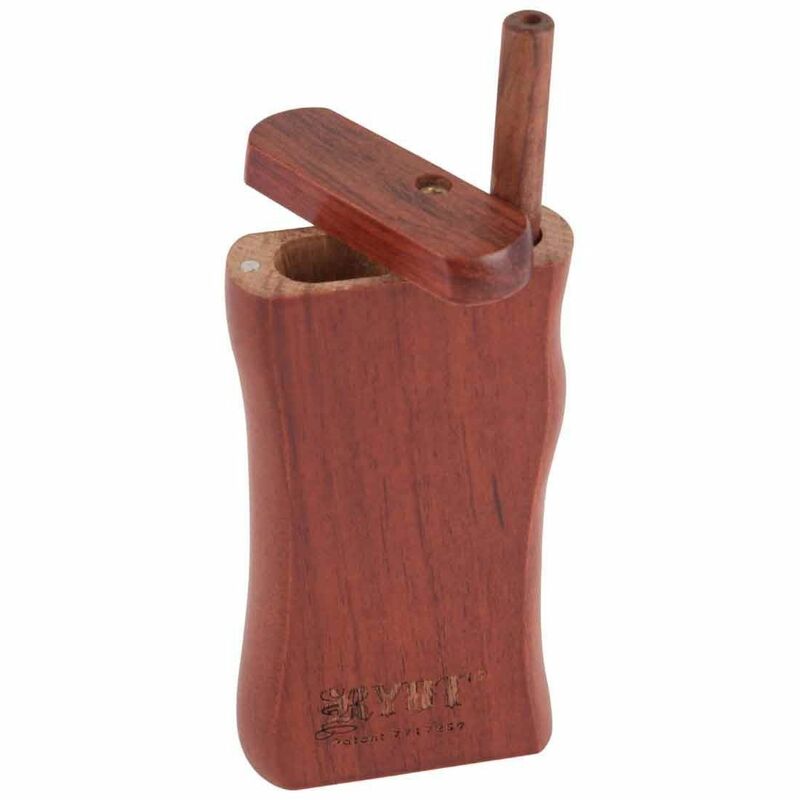 The RYOT Wooden Taster Box Dugout is a first rate magnetic dugout sytem that is made available in 5 attractive wood finishes from one of the most well known names in the business. 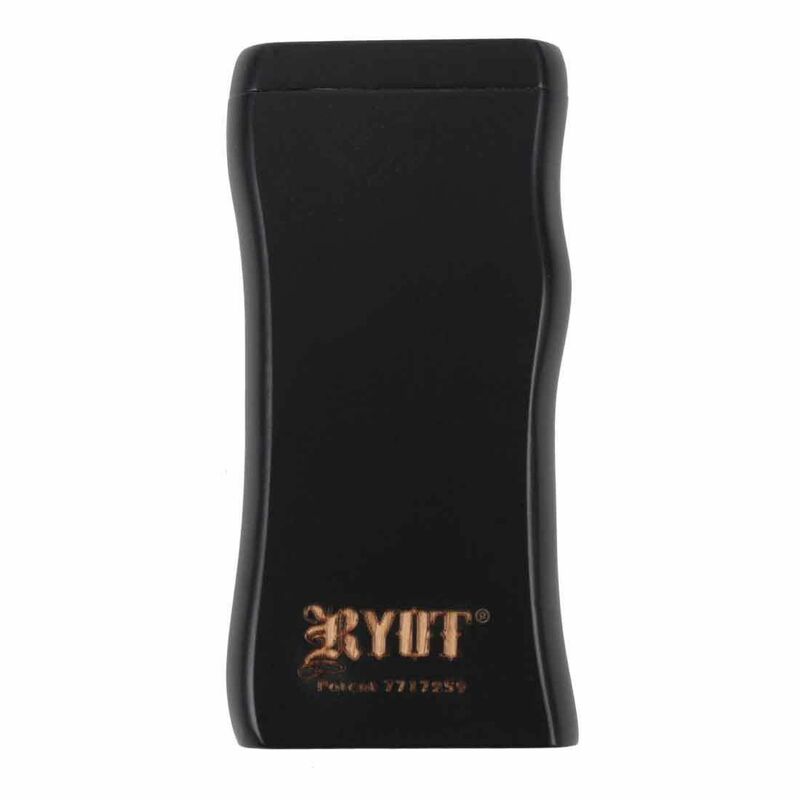 This innovative taster box is manufactured with RYOT's unique pistol grip design that perfectly forms to the palm of your hand, creating a superior grip over the competition. 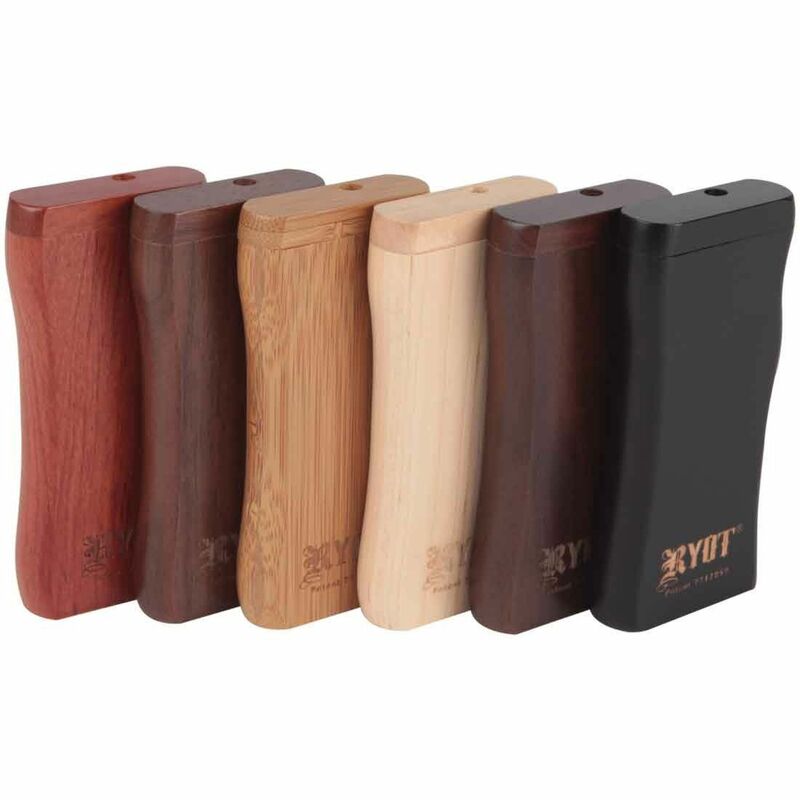 Constructed from a heavy duty premium quality wood, RYOT's Taster Box Dugouts are truly built to last, resisting damage caused from average every day wear and tear with ease. 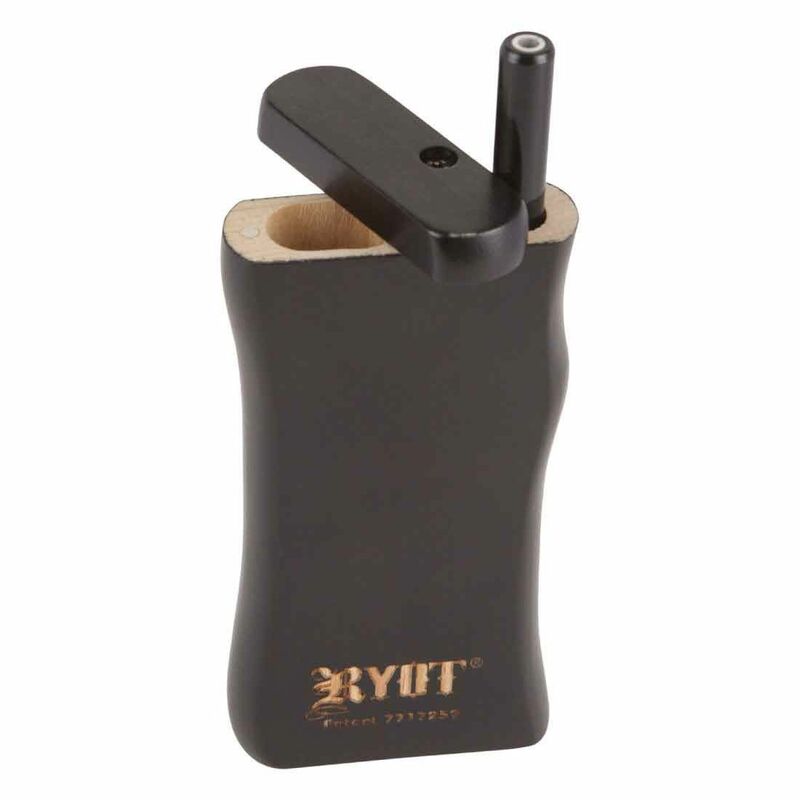 Unlike many similar models on the market, the RYOT Wooden Dugouts come equipped with a strong magnetically sealed top lid. 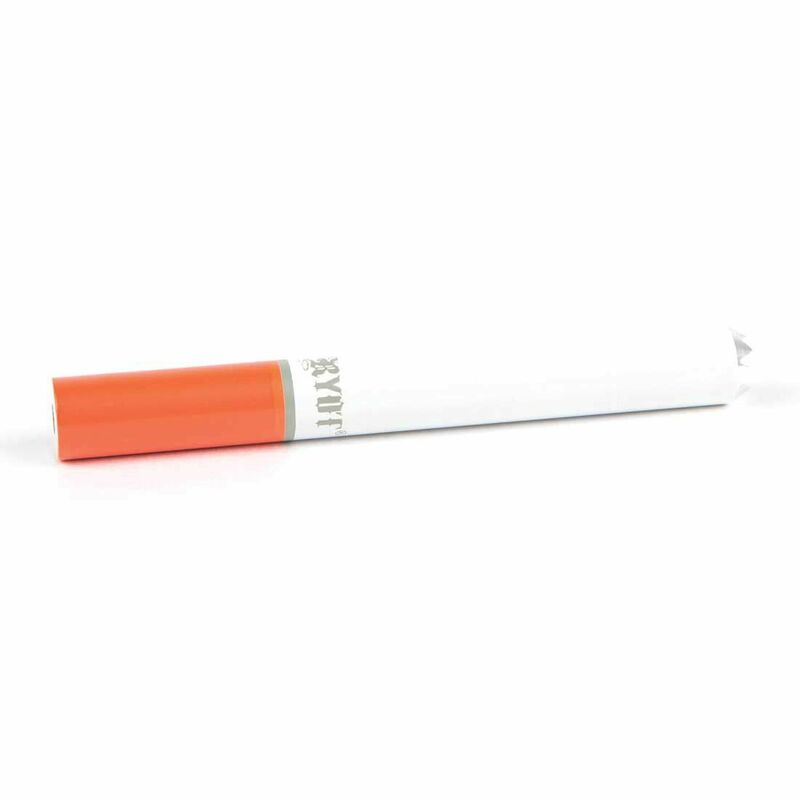 This lid will help to ensure you do not lose a chamber full of material every time your Taster Box is stored in a pants or jacket pocket while also helping to secure any strong odors inside. As long as your have your RYOT dugout with you, you will have a handy poker tool at your side ready to help whenever you may need it. This poker tool is stored through the center of the box held in place by one strong magnet and it makes the perfect sidekick for clearing most standard sized taster bats. 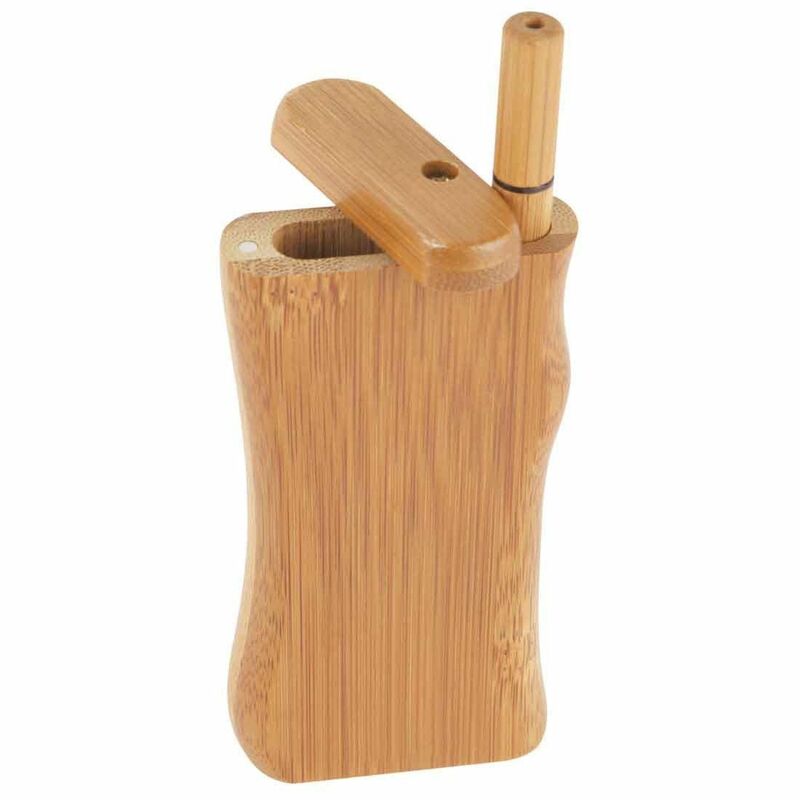 The Magnetic Wooden Taster Box from RYOT is manufactured in two sizes (2" and 3") and 5 beautiful wood finishes including a standard Black, Bamboo, Walnut, Maple and Rosewood. 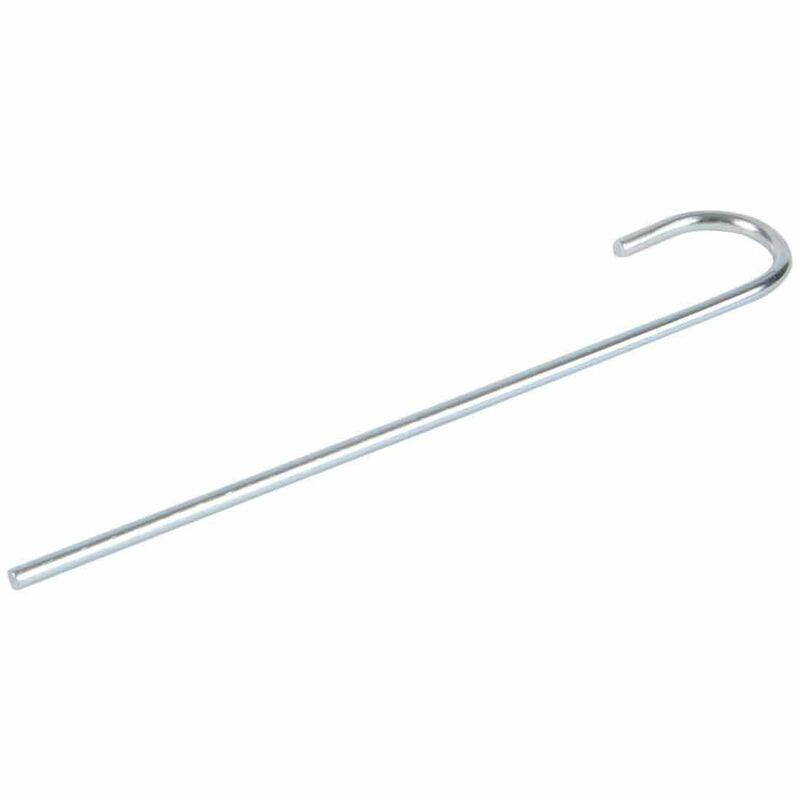 Please note this product only includes the Taster Box and Poker Tool. 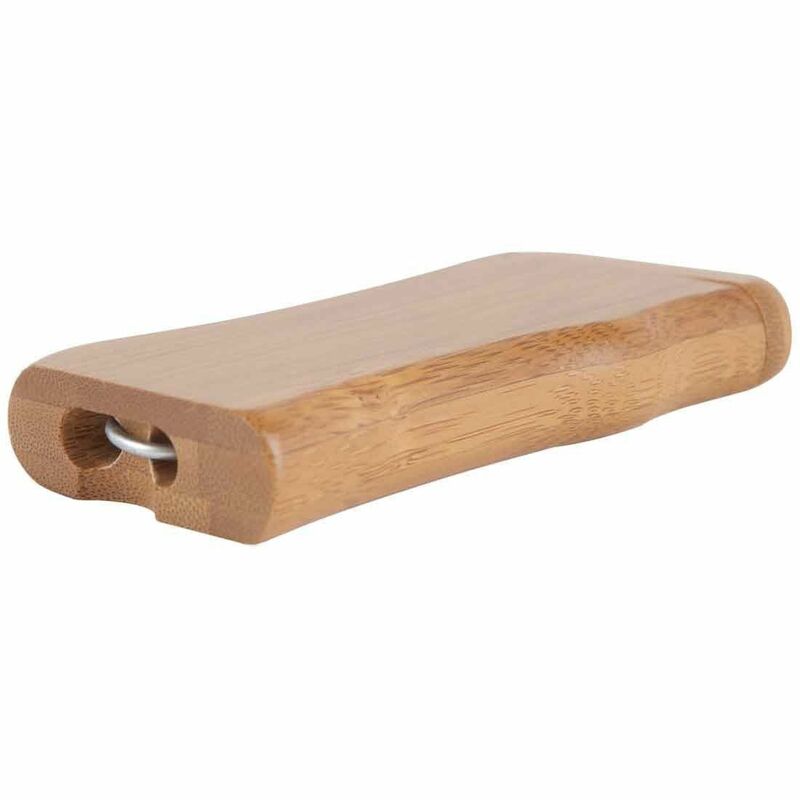 Any Taster Bats must be purchased separately. 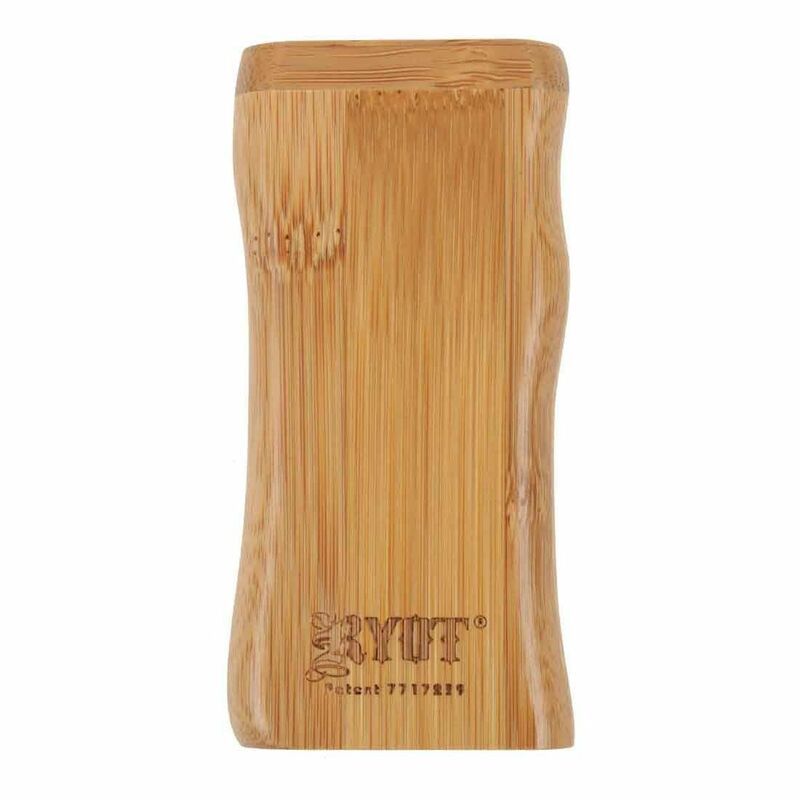 RYOT'S Wooden Taster Boxes are designed to be compatible with all Standard Sized Taster Bats on the market. 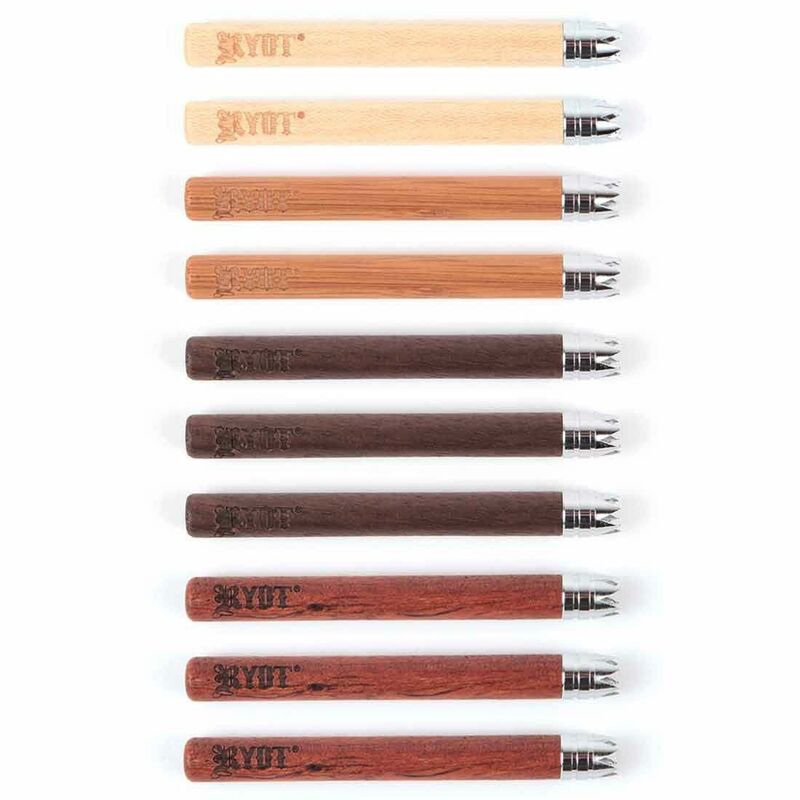 When selecting one of the Add Bat options above, you are purchasing an authentic RYOT brand product designed for use with their Taster Box series. 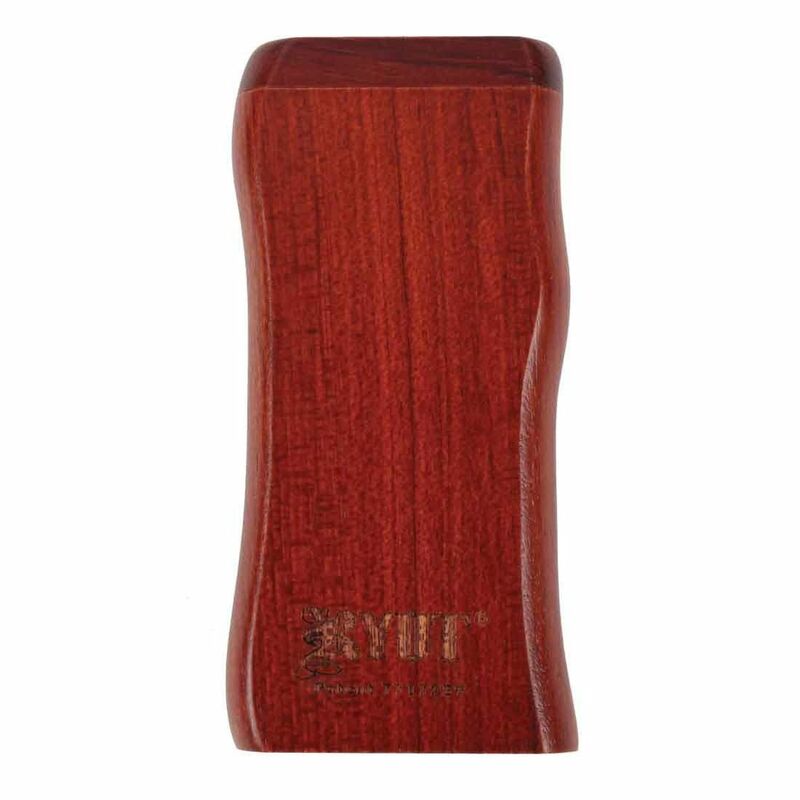 If choosing the Matching Wood Bat options we will do our best to send your dugout and taster bat with a matching wood tone.